Balance Body & Soul Nutrition // Health Tips Blog // Stop! Put Down That Doughnut! 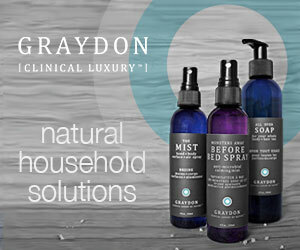 Did you know that over 50% of the carbohydrates most people consume come in the form of simple sugars added to products? Manufacturers of packaged foods can sometimes be sneaky when adding sugar too, so just looking for the word sugar on the ingredients list isn’t enough. If your food contains, sucrose, fructose, glucose, maltose, fructose, white grape juice concentrate, or corn syrup (along with a few others!) then you can be guaranteed extra sugar has been added. It’s no secret that sugar isn’t good for you. While eating foods that have a high content can lead to problems with blood sugar control, sugar also has a negative effect on many other health conditions and functions in the body. Simply put, when foods with high-sugar content are eaten alone (especially without the presence of fat or fibre), blood sugar levels rise quickly causing an elevated insulin release. When this happens throughout the course of the day it puts your blood sugar levels on a roller coaster ride and affects your mood as well as the other food choices you make throughout the day. Over time, a diet that puts so much stress on the hormonal systems that control blood sugar levels can actually lead to the onset of conditions like hypoglycemia or diabetes. Have you ever thought about how much sugar you’re eating over the course of the day? 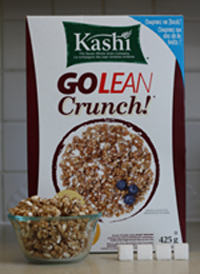 Even healthier choices can be deceiving unless you take a good look at the label. 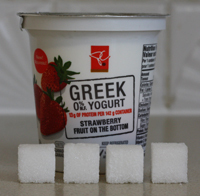 Every gram of sugar listed in the nutritional information is equal to 1 tsp of sugar. The presence of fibre will certainly slow the uptake of that sugar into your bloodstream (decreasing the glycemic index), but it’s still sugar nonetheless. 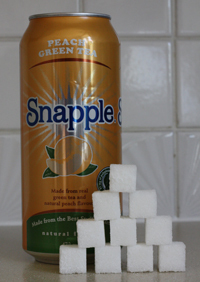 Even more shocking to consider is the sugar content of your “unsweetened” fruit juice. No, it may not have sugar added to it, but without any of the fibre that the whole fruit contains, you’re still just getting a hit of sugar. I grabbed a few popular healthier choices that some of you may or may not eat over the course of the day to try and illustrate my point more clearly. Each sugar cube is about 1 tsp = 4g. Your breakfast cereal alone (at 4 tsp or more) may be providing you with more sugar than you would put in your cup of coffee sending your blood sugar way up as you begin your daily rollercoaster ride. Mid-morning, when it plunges back down, you may feel hungry, a little irritable, or get a headache so you reach for a snack to tide you over until lunch. 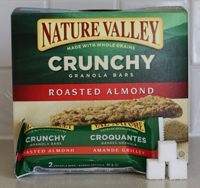 A granola bar perhaps? There’s another 3 tsp of sugar. You’re at 7tsp already (not including whatever is in your coffee or tea) and it’s not even lunch yet. Did you have a juice with your lunch? You may have just consumed 10 or more tsp of sugar depending on what your choice was. At mid-afternoon you start to get hungry again and feel the familiar irritability, moodiness and perhaps a headache settling in so you grab your healthy yoghurt from the fridge. Don’t get me wrong, I think yoghurt (and especially high protein Greek yoghurt) is a great snack. But if it’s a flavoured variety then you’re probably consuming another 4 tsp of sugar. 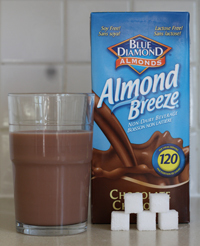 Cap your day off with a glass of chocolate almond milk after dinner as your healthier alternative to a dessert (5 tsp sugar) and you may have consumed 26 tsp of sugar or more throughout the course of your day. Although I am suggesting that you drastically reduce (or eliminate entirely) your intake of refined sugar I’m definitely not suggesting that you turn to artificial sweeteners as they come with their own laundry list of negative health effects. Start reading labels and cut out and cut down the amount you are taking in each day. There are some amazing alternatives that you can find in your local health food store, including stevia and coconut palm sugar. Both come from natural sources and have extremely low glycemic indexes. If you’re baking or cooking and looking for something to use, small amounts of maple syrup and honey are better choices to refined sugar, but will still increase your blood sugar levels. I can help you beat your sugar addiction and help you understand your relationship with sugar and why you reach for it when you do.